Nintendo Switch vs PS Vita are both marketed towards gamers who want to be able to continue playing their favorite games even when they are on the go. These portable gaming devices allow you to play wherever and whenever you go without being tethered to a television. So, which one is actually better? Read the comparison below for the answer! First of all, let’s take a look at the design and dimensions of each gaming device here. Indeed, in general, both Nintendo Switch vs PS Vita are portable. They both follow a similar approach for the layout and basic look. There are sticks and buttons on the left and right side of the display screen. However, Nintendo Switch is a thud larger and slightly heavier than PS Vita. See also: Nintendo Switch vs Wii U. In terms of design, Nintendo Switch is more like a powerful tablet that has controllers on the left and right. It does not look too busy. It looks neat and pretty streamlined. 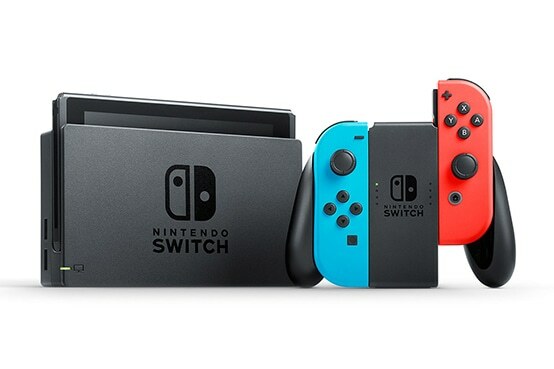 According to the specifications, Nintendo Switch measures approximately 9.4 inches wide, 4 inches high, and 0.55 inches thick with the Joy-Con controllers attached. In addition, the company has also specified that the distance between the tip of the analog sticks and the tip of the ZL and ZR buttons is about 1.12 inches. It weighs 0.88 lbs with the Joy-Con controllers attached, 0.66 lbs without. In terms of design, Nintendo Switch is more like a powerful tablet that has controllers on the left and right. It does not look too busy. It looks neat and pretty streamlined. There are two color options available for the unit. One comes with blue and red controllers, whereas the other one comes with gray controllers. If you are planning to use the device for local multiplayer games, getting the one with blue and red controllers is generally better. PS Vita is quite more compact, despite having a tiny bit extra thickness. It is available in several color choices. On the other hand, PS Vita is quite more compact, despite having a tiny bit extra thickness. This model measures 182 mm x 18.6 mm x 83.5 mm (7.16” x 0.73” x 3.28”). In addition, it is also slightly lighter at 219 grams (0.48 lbs). As the effect, it is quite easy to carry around. It is something that you can easily slip into your bag or maybe your trousers’ baggy pocket. PS Vita looks modern and sophisticated. It has a sleek and cohesive design. It is available in several color choices, including black, white, orange, blue, silver, and red. So, there are plenty of options that you can choose from. However, unlike Nintendo Switch’s controllers, the strictly handheld gaming device PS Vita’s controllers are not detachable. Nintendo Switch comes with a larger size not for nothing. To say the least, Nintendo Switch has utilized its large body to house an additional pair of shoulder buttons. As the effect, it can go more in line with the current standards for home consoles. Nevertheless, the button layout is a bit different compared to the other consoles. Nintendo Switch houses an additional pair of shoulder buttons. The analog sticks are placed in an asymmetrical layout. The analog sticks of Nintendo Switch are placed in an asymmetrical layout. The left stick is placed high, just above the buttons, whereas the right stick is placed low below the buttons. Nevertheless, this control layout is still very comfortable to use, as the buttons are all easy to access. You may need only a short period of time to adjust to it. PS Vita comes with a proper directional pad. The left area is symmetrical to the right area. It also has a touch-sensitive rear panel. On the other hand, PS Vita comes with a proper directional pad. The left area is symmetrical to the right area. It is just the buttons’ shapes that are a bit different. Both analog sticks are placed low. This layout is generally similar to that of the controller of the console version. This layout is especially useful for fighting games and classic 2D games. However, PS Vita does not have shoulder buttons. Both devices enable you to interact directly with their displays.Both Nintendo Switch vs PS Vita are equipped with capacitive touchscreens. However, PS Vita has another unique way for its control, which is the touch-sensitive rear panel. Unfortunately, this feature may appear a bit gimmicky, as the touch-sensitive rear panel hasn’t been very useful except in just a few situations in limited game titles. When choosing a gaming device, you have to carefully consider the display quality of the unit. We all certainly want the best image quality possible. The device should be able to give great details and rich, accurate colors when playing a game with strong graphics, and provide sharp, crisp text that is easy to read. Without these qualities, the games won’t be very enjoyable. With the 6.2-inch display, Nintendo Switch can play games in HD. When docked, it can play games in Full HD. Nintendo Switch is impressive in this regard. The device features a 6.2-inch LCD screen with a resolution of 1280 x 720 pixels. The aspect ratio is 16:9. With this device, you can already play your favorite games in HD. Additionally, when you detach the controllers from the unit and dock the unit into the base station, you can send the output signal to a television with a maximum quality of 1920 x 1080 pixels (Full HD). Compared to PS Vita, the image quality of Nintendo Switch is far higher. It is much sharper and more detailed. The colors are richer, more vibrant, and more accurate. So, if image quality is a very important factor in your consideration, Nintendo Switch is easily the way to go. PS Vita is not really bad, but it has been around for several years. It has a smaller display screen with a resolution of 960 x 544 pixels. On the other hand, PS Vita is not really bad. But it is an older model that has been around for several years. The technology it uses has started to show its age. PS Vita has a smaller display screen, which measures 5.0 inches. The aspect ratio is also 16:9. However, the resolution is only 960 x 544 pixels (qHD). The original PS Vita model uses a nice OLED panel that can show vibrant colors. Unfortunately, the current PS Vita model uses an LCD screen, which is more efficient in terms of power consumption but less vibrant. To be fair, PS Vita’s display still looks enjoyable and attractive, but it is not at the same level as Nintendo Switch’s display. The next important consideration when choosing between Nintendo Switch vs PS Vita is the processing power. You can analyze their potential power by comparing their hardware components, or more specifically, their processing units. A powerful unit can run heavy games without lags, stutters, or slow loading times. In order to play console-grade game titles, it needs powerful processing units. Nintendo Switch comes with a customized Nvidia Tegra chipset. Again, Nintendo Switch is impressive. Of course, one reason is that this device has been designed to be a ‘hybrid’ between a handheld gaming device and a console. So, in order to be able to play console-grade game titles, it needs to be armed with powerful processing units. Nintendo Switch runs on a customized Nvidia Tegra chipset. The customization hasn’t been explained in detail, but the original Nvidia Tegra chipset is already very powerful. It consists of four 64-bit processing cores and the 256-core Nvidia Maxwell graphics processing unit. This device is really powerful. Nintendo Switch is able to run major titles like The Legend of Zelda: Breath of the Wild and The Elder Scroll V: Skyrim without any significant lag. The loading times are also quite fast. 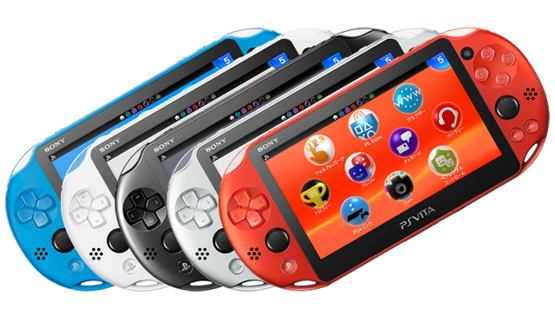 PS Vita runs on the quad-core ARM Cortex A9 MP Core CPU. You can say that it is more-or-less an equivalent of the processor of iPad 3. On the other hand, PS Vita runs on the quad-core ARM Cortex A9 MP Core CPU. You can say that it is more-or-less an equivalent of the processor of iPad 3. It is pretty powerful, but unfortunately it is probably not powerful enough for playing the latest games these days. This is also another aspect where the age of PS Vita is clearly shown. When it was first launched, PS Vita was indeed amazing. However, the power is more likely to be between PS 1 and PS 2. It is only able to run game titles of those grades. Some resource-intensive games may cause slower loading times. Nintendo Switch has a good internal storage capacity. The total capacity is 32 GB, but there is a small portion that is reserved for the operating system. Even so, the internal storage is already quite spacious. You can save a few games or media files here. If you are a dedicated collector who likes to save notable game titles in your library, don’t worry. Nintendo Switch allows you to expand the storage easily. It has a memory card slot which accepts micro SDHC and micro SDXC memory cards of up to 2 TB. Nevertheless, note that the memory card is sold separately. On the other hand, PS Vita only has an internal storage capacity of 1 GB. By today’s standards, this is very limited. It is probably enough for a few game titles, but it won’t be enough if you want to collect all of your favorite game titles. Fortunately, PS Vita also has a memory card slot. But the maximum supported capacity is unlikely to be as high as that of Nintendo Switch. People usually use 16 GB, 32 GB, or 64 GB memory cards for PS Vita. With a 16 GB memory card, you can already save about 4 – 5 game titles in the device. Both Nintendo Switch vs PS Vita have unique capabilities. Their special features may come up to be quite handy, depending on your preference and whether you already have an existing console or not. You can detach the Joy-Con controllers and dock the Nintendo Switch unit into the base station to use it as a console. Nintendo Switch is a handheld gaming device that can also be used as a console. In order to use it as a console, you need to detach the Joy-Con controllers from the left and right. Then,dock the unit into the base station, which needs to be connected to a television for the display. You can connect the two Joy-Con pieces together to use them as a single full-sized controller, or use them separately for two players. But you don’t always need a television to play multiplayer games. The tablet-like unit alone can also do that, albeit with a smaller display screen. It has an integrated kickstand so that you can set the display into a position that is easy to see. The individual Joy-Con controllers are rather simple, though, so they are only suitable for games that don’t involve complex controls. PS Vita can stream games from the PS 4 through a Wi-Fi connection, so you can play your console games in any room in your home. PS Vita can be a great choice if you already have a PS 4 console in your home. PS Vita can stream games from the PS 4 through a Wi-Fi connection, so that you can play your console games without having to sit in front of the TV, in any room in your home. This approach has some disadvantages, though, such as the compromises on visual fidelity and some control set-ups, as well as slight delays, but it still works. Last but not least, for a handheld gaming device, there is the battery life to worry about. None of us wants to run out of battery in the middle of a trip without having no way to recharge. Nintendo Switch is pretty good. It is packed with a 4310 mAh battery. However, note that its processing components do consume more power. Games that are not too resource-intensive can be played for up to 6.5 hours. But heavy, resource-intensive games will shorten the battery life considerably. As an example, The Legend of Zelda: Breath of the Wild can reduce the battery life to just about 3 hours. On the other hand, PS Vita comes with a 2200 mAh battery. The smaller battery capacity is not a major problem because its processing units don’t consume as much power in the first place. The average battery life is about six hours too. All in all, Nintendo Switch is much more recommended. It is better in most, if not all aspects. It is more versatile; you can use it as a handheld device or a console, and it is more than just powerful enough to play console-grade games.The image quality is also much better here.